The 2015 Tahoe is the SUV of the future. With an obvious Chevrolet design, the Tahoe makes quite the first impression both on and off the road. Whether you’re cruising right along on the interstate, or parked in your driveway, the Tahoe turns heads. The full-size SUV has more capabilities both inside and out than it ever has before. Contrary to popular belief, big SUV’s don’t necessarily mean big gas payments at the pump. Estimated 23 MPG highway 2-wheel-drive, and 22 MPG highway 4-wheel-drive, the fuel economy is up to speed with every competitor. 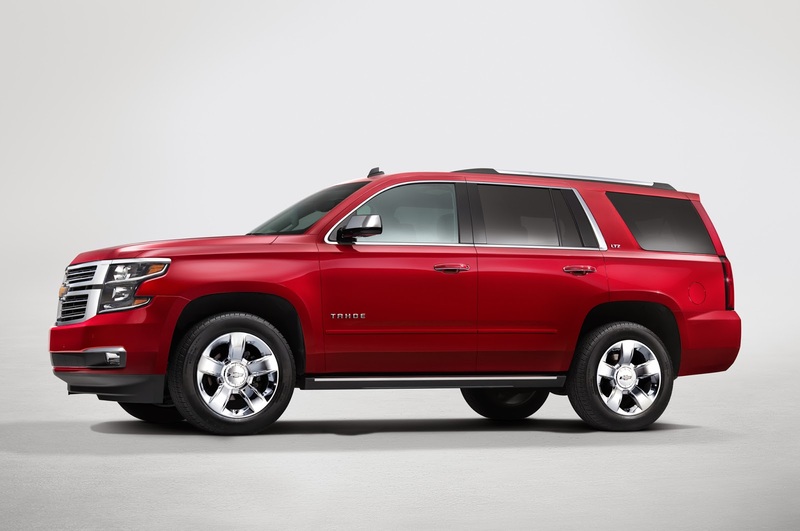 With a 5.3-liter V-8 engine, the Tahoe gets up to 355 horsepower at 5,600 rpm. Whoa! Dependable towing capacity mixed with large cargo capacity and passenger room, this vehicle was made for those who need more than just a standard SUV or sedan. Luxury doesn’t have to run at a high price, and the Tahoe proves it. From every available feature you want in a new SUV, know that you can afford it by purchasing a Chevrolet. Visit Uftring Chevrolet in Washington today for a test drive of the 2015 Chevrolet Tahoe. Click here to view our latest Tahoe inventory, or view our entire selection of new Chevrolets in Washington, IL here. Uftring Chevrolet in Washington – right in the heart of Chevy country.